Vicky has always been passionate about nature and the Sussex countryside. 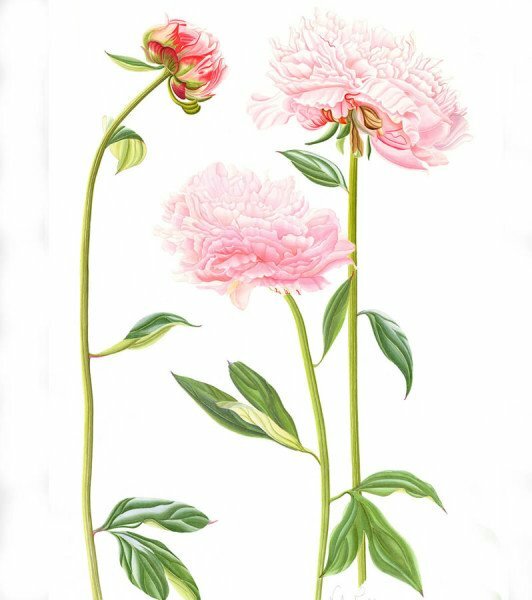 Inspired by colour and fascinated by the detail of living growth, she strives to paint flowers and vegetables in all their beauty, with a certain lightness of touch. Vicky has held many exhibitions of her work and has been commissioned to work on murals, illustrations for magazines, providing images for a food company and paintings for a well-known restaurant. 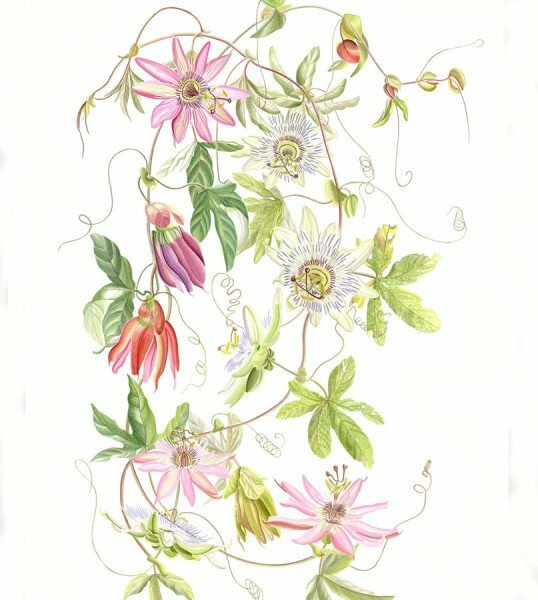 Her work can be seen in ‘The Art of Botanical Painting’ and ‘The Botanical Palette’, both books produced in association with The Society of Botanical Artists. Her recent work includes a third set of cards for Glyndebourne Opera House, and a painting of the ‘Rosa Glyndebourne’. Recently, much of her time has been spent painting for an exhibition that will be held in 2016 at Prairie Gardens, West Sussex. 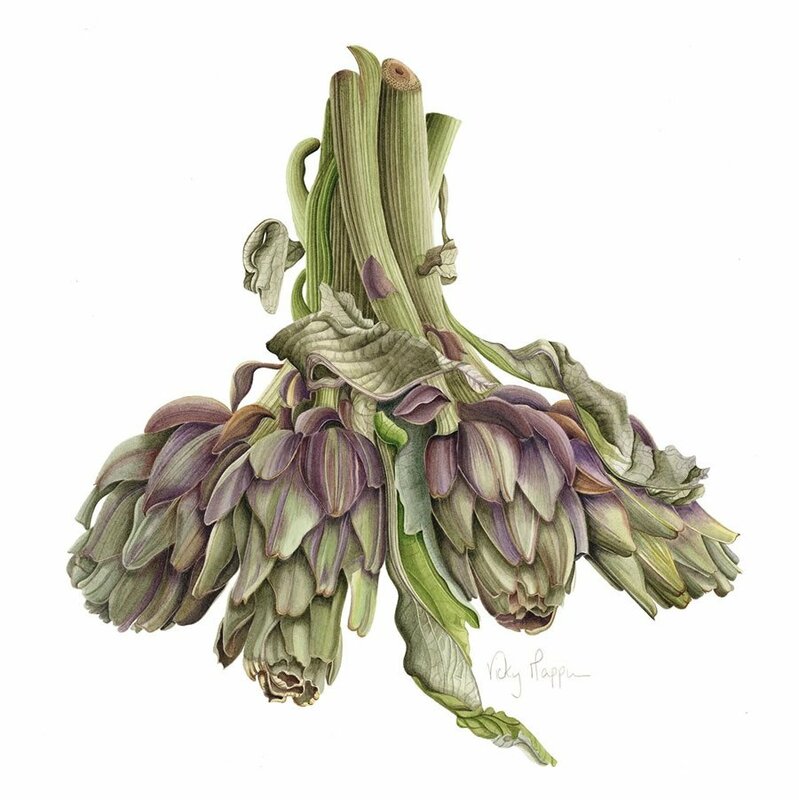 Her work has been printed onto aprons, tea towels and trays, and she is hoping to build up the range over the next year. Vicky teaches in Rodmell village hall, and runs weekend courses during the summer months from her studio in Rodmell, Near Lewes.